The Times-Protect® series of protectors and accessories provide highly effective protection to commercial, industrial, military, PTC (Positive Train Control) and aerospace wireless communications equipment and facilities against lightning strikes and subsequent power surges. These unique surge protection devices address applications throughout the entire useful RF frequency range from DC with capability up to and including 6 GHz. 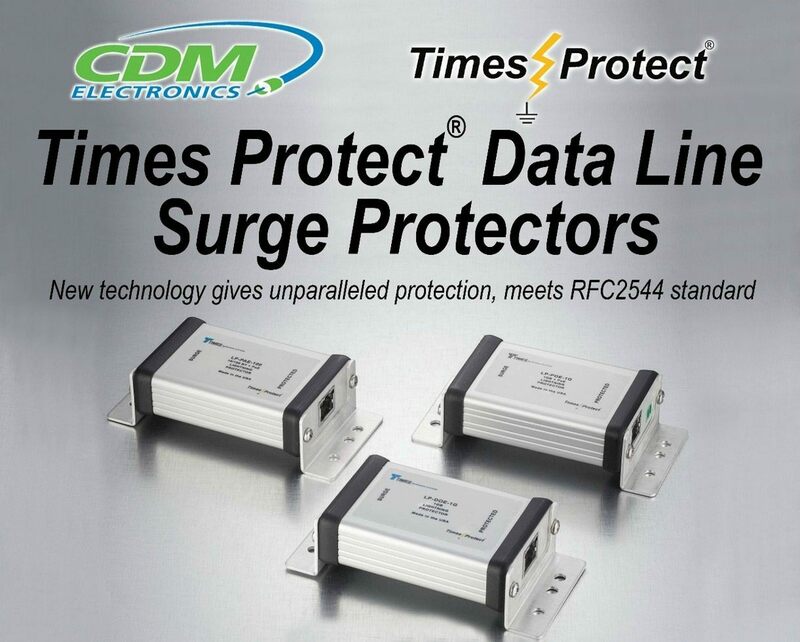 The Times-Protect® Data Line protector family utilizes a unique leading edge technology to provide a new level of surge protection for networks. Multiple configurations and mounting arrangements allow for total flexibility in new design usage and retrofit installation capabilities.